WaterWipes made me eat my words & a wee giveaway! 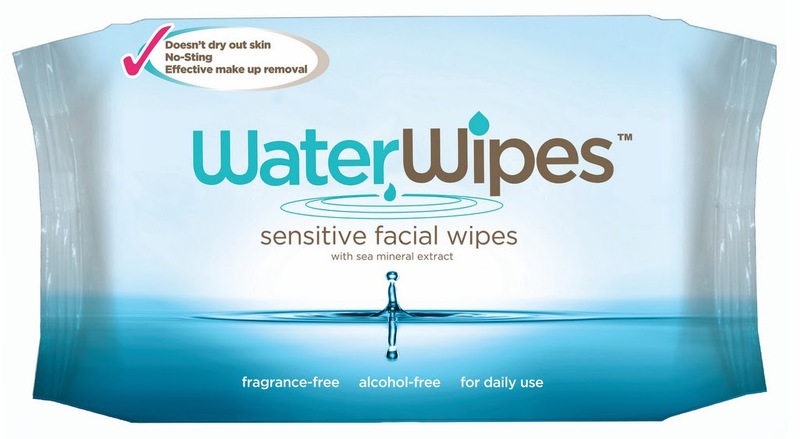 I've been going on and on about ditching the makeup wipes for ages now and when I was contacted by Irish company Irish Breeze to see if I wanted to try their WaterWipes out, I raised an eyebrow and pursed my lips, like you do. They'd done their research and had read my posts on ditching the wipes, which I was delighted at, and wanted me to give some a go and put them to the test like a true cynical blogger. Steeped in a solution of 99.9% water and 0.1% grapefruit extract and dead sea minerals to moisturise, they're touted as "The world's purest facial wipe". They're fragrance free, alcohol free and contain no irritants and it was at this point where I started thinking "are they made of air"?! One side of the wipe is smooth and the other is textured, so you can have a bit of a scrub. Now, it doesn't remove my mascara fully and it does require a certain amount of rubbing to remove eyeliner, and the same goes for lipsticks that aren't too creamy. But for the rest of my face, they do a great job of cleaning my skin and removing makeup and the most important thing is that they don't dry my skin out! In all my years, I've never found a wipe that didn't leave my skin feeling tight afterwards, but hand on heart, my skin feels completely normal after using them. Yes, I do need my regular eye makeup remover to get rid of any mascara, but all in all, these are great. Now, I'm not advocating you ditch a proper skincare routine in favour of these, but for nights where you're wrecked but don't want to sleep in your makeup, or if you want to carry something lightweight in your bag to help freshen up your skin, then these are the way to go. I'll be bringing a packet with me to Spain and will be keeping them in the fridge as it's 30 degrees over there! If you want to learn more about WaterWipes, then head to their website here. We've got four packets of WaterWipes to give away to a lucky follower, so if you want to be in with chance to win them, then send your name and address to competitions@lovelygirliebits.com with WaterWipes in the subject. We'll pick a winner when we're back from our holiday! Pit and peak of the week - week 37! Midnight blue eyes with Smashbox and Collection! Pit and peak of the week - week 36! The Body Shop Honeymania Collection! Pit of the week and peak of the week - week 35! Pit and peak of the week - week 34! Lanolips Lip Ointment with colour review! New video! My August beauty favourites! 4711 - A dupe for Tom Ford's Neroli Portofino! Barry M Gelly Hi Shine - Blue Grape! Pit and peak of the week - week 33!